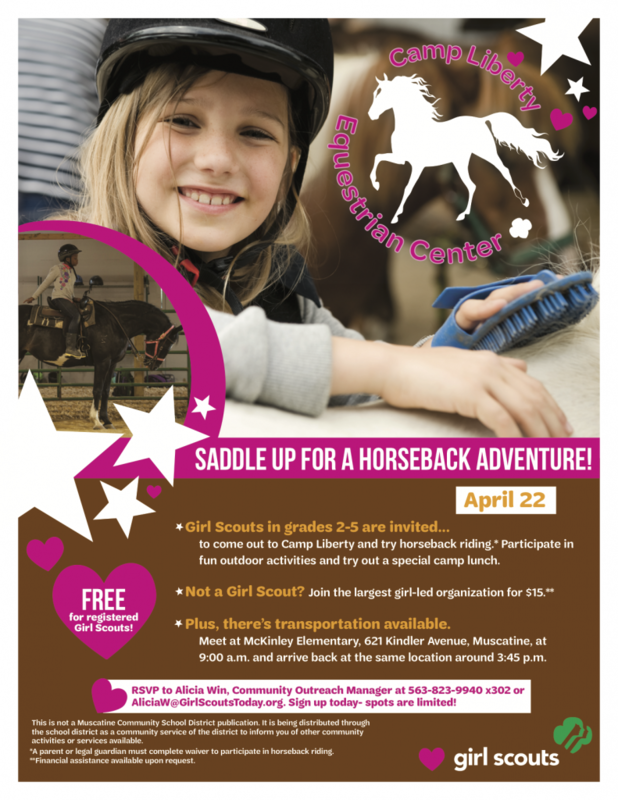 Join us on April 22 for a trip to Camp Liberty where we will ride the horses, go hiking, and enjoy a fun day outdoors! Call today as spots are limited. Lunch will be provided. Contact Alicia Win at 563-823-9940 x302 or AliciaW@GirlScoutsToday.org for questions or reservations.